Turn your phone into a universal remote control using your phone’s built-in IR transmitter. No external hardware required. No network connection required. No permissions required. Lifetime return policy! Control your TV, your Set-top Box, your Audio Video Receiver, your Amplifier, your DVD Player, your Blu-ray Player, your Air Conditioner, your Projector, your DSLR camera, your PS3, your Xbox, and more! Prank your friends, anything you’d like with this user-friendly remote control! 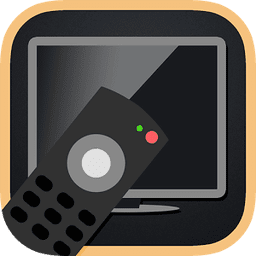 Control all of your devices from just one screen, by creating your own custom remote, where you can add buttons from different devices in a single tab! Customize your remote control by changing the number of tabs, the layout, the colors, the style of each button, and more. Save a sequence of actions (macro) to be executed one by one. For example you can turn on your TV, turn on your cable box, wait 1 second, go to channel 100 and turn up the volume. All of these actions saved in a single button. You can send your own custom IR code and save it to a button. Note: This application works only with phones that have an IR blaster (infrared blaster) embedded (currently Samsung Galaxy S5, Galaxy S4, Galaxy S4 Active, Galaxy S4 Mini, Galaxy S4 Zoom, Galaxy Note 3, Galaxy Note 8.0, Galaxy Note 10.1, Galaxy Tab 7.0 Plus, Galaxy Tab 2, Galaxy Tab 3, Galaxy Mega). If it doesn’t work with your device, instead of leaving a poor comment, please send us your order details and we will instantly refund you. Currently supporting over 500,000 devices !